Crime and Punishment: Oklahoma (& Texas) style! Re: Crime and Punishment: Oklahoma (& Texas) style! Probably shop teacher gets the Desert Eagle. An armed passerby has shot dead a gunman who opened fire on a packed Oklahoma restaurant in a terrifying shooting which left a woman and two children injured. The shooter, a white male who was wearing eye glasses and ear protection at the time, was confronted by a person standing outside the restaurant as he tried to flee, and shot dead. He was the only person killed in the shooting, which left four in hospital, and Police Captain Bo Matthews told reporters the armed civilian was 'a blessing'. Police have said today they have no reason to believe this is a terrorist type of incident', and that the motive was unclear. The man, who has not been identified, began shooting at random inside Louie's Grill and Bar about 6.30pm. He struck mother-of-two Natalie Will and her 12-year-old daughter Niah as they were walking inside for the woman's eldest daughter Shayla's 14th birthday celebrations. Another 14-year-old girl named Alex, Shayla's best friend, was also shot. Natalie was shot in the arm, and Niah was shot in her tailbone, but the bullet traveled to her stomach. Natalie's sister Leslie said on Facebook both were in a stable condition, and Niah was taken into surgery, which 'went well'. I and my associates did quite a lot to get Oklahoma's concealed carry law passed and signed by Governor Keating. I am quite satisfied that it has been of great benefit to the state. One of the leading causes of the drug epidemic, suicide epidemic, homelessness, incarceration for crime in general. Quite literally, if a man fails to pay alimony and child support, he goes to jail. More often than not, the only way to afford alimony and child support is to commit crimes. He commits crimes, he goes to jail. Damned if he does, damned if he doesn't. There was literally one family court judge who told a divorced man, "I don't care how you get the money, just make sure you get it," right after the man told him there was no legally economic way he could make the payments. This video uses the data from Greg Ellifritz's 10-year stopping power study of real-world gun fights to shed the light of actual data on several common beliefs about handgun calibers including: 22 rifles are the best bug out guns, 45s have the best stopping power, 380s are too small to be effective, 410 guns are gimmicks, and more. For shotgun lethality, #1 or #2 shot tends to do better in tactical usage. This is mostly due to holding a tighter pattern at tactical ranges over #00. In close, #00 hits harder, and quickly degrades as distance goes up. Hot load .45 has always been a personal favorite, such as what we used in the Mk.23s. The downside is the weapon size and mass. With suppression, it was fondly known as the semi-automatic crew served handgun given it's ridiculous size. ladajo wrote: For shotgun lethality, #1 or #2 shot tends to do better in tactical usage. This is mostly due to holding a tighter pattern at tactical ranges over #00. In close, #00 hits harder, and quickly degrades as distance goes up. Hot load .45 has always been a personal favorite, such as what we used in the Mk.23s. The downside is the weapon size and mass. With suppression, it was fondly known as the semi-automatic crew served handgun given it's ridiculous size. I think the most interesting part of my posted link was where it said that there was very little difference in what he referred to as one shot stops (percentage where a hit any where on the body) stopped an assailant's attack. That is the likelihood that the hit would end the assailant's attack varied little between the most commonly used pistol calibers, i.e. 380,38, 9mm, 40 or 45 caliber all scored about the same. The only significant difference was observed with the 357; which did score noticeably higher. It did say avoid the "mouse guns"; that is calibers smaller than 380 like 22, 25 or 32 calibers but other than that little difference. It attributed that I believe to the realization that apparently people tend to break off the attack when successfully shot regardless of the difference between said most commonly used pistol calibers. Last edited by ladajo on Thu Aug 16, 2018 12:47 pm, edited 1 time in total. The biggest fault I saw in the work was no accounting for experience / training levels of the operators, either in mass or by weapon type. Novices tend to move towards certain weapons in my experience. Cost being one of the larger factors. Additionally, while he touched on round types, he did not really go into it. It was more or less assumed, as things appeared, that ball ammo was the norm. Again, this is a factor driven by experience and training levels in my opinion. He also did not take into account ranges really at all. 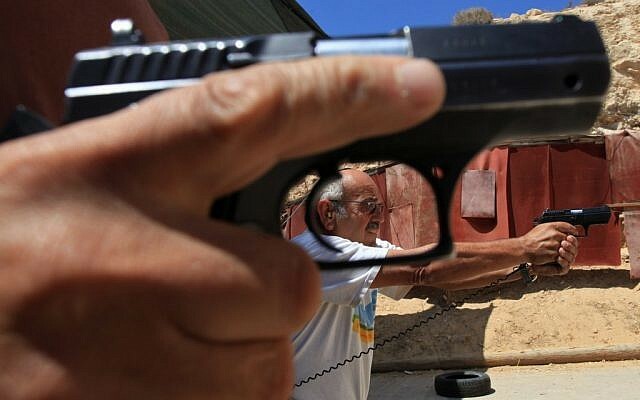 Some weapons are total crap at any distance beyond a few yards (for various reasons), while most pistol incidents tend to occur at 2 yards or less. Where they are longer, the operator, weapon, and round choice really kick in to drive the outcome. I understand that doing multiple regression was not his intent, nor did he probably have enough data to do so. I do agree, at the end of the day, getting hit with any round is not a pleasant experience, and that real world data and other studies bear out that two hits tend to be the break point on suppression. The CPRC has just issued our newest annual report on the number of concealed handgun permits in the US. A copy of the report is available for download here. Some updated numbers are shown at the bottom of this post. Past reports can be viewed here. Despite the expectations of many after the 2016 elections, the number of concealed handgun permits has again increased. In 2018, the number of concealed handgun permits soared to now over 17.25 million – a 273% increase since 2007. 7.14% of American adults have permits. Unlike surveys that may be affected by people’s unwillingness to answer some personal questions, concealed handgun permit data is the only really “hard data” that we have on gun ownership across the United States. Still, an even larger number of people carry because in 14 states people don’t need a permit to carry in all or virtually all those states. •Last year, despite the common perception that growth in the number of permit holders would stop after the 2016 election, the number of permits grew by about 890,000. •Outside the restrictive states of California and New York, about 8.63% of the adult population has a permit. •In fifteen states, more than 10% of adults have permits, up from just eleven last year. •Alabama has the highest rate — 22.1%. Indiana is second with 17.9%, and South Dakota is a close third with 17.2%. •Four states now have over 1 million permit holders: Florida, Georgia, Pennsylvania, and Texas. •Another 14 states have adopted constitutional carry in all or almost all of their state, meaning that a permit is no longer required. However, because of these constitutional carry states, the nationwide growth in permits does not paint a full picture of the overall increase in concealed carry. •Permits continued to grow much faster for women and minorities. Between 2012 and 2018, the percent of women with permits grew 111% faster for women and the percent of blacks with permits grew 20% faster than for whites. Permits for Asians grew 29% faster than for whites. •Concealed handgun permit holders are extremely law-abiding. In Florida and Texas, permit holders are convicted of misdemeanors and felonies at one-sixth of the rate at which police officers are convicted. The report is available to be downloaded here. Imagine how Cologne would have gone down if all those women were doing concealed carry. “Many citizens have saved lives during terror attacks, and in the era of ‘lone-wolf’ attacks, the more qualified gun-carrying citizens there are — the better the chance to thwart terror attacks without casualties and reduce the number of casualties,” Erdan said in a statement. More than half a million Israelis have become eligible to receive gun permits under a major reform of the country’s firearms rules, with the stated goal of improving the immediate response to terror attacks. Under the new rules, which went into effect immediately upon being announced Monday, hundreds of thousands of veterans of the IDF’s infantry units will be eligible for gun permits, along with police officers who received the equivalent training. Additionally, army officers ranked first lieutenant or higher, as well as non-commissioned officers ranked first sergeant or higher, who carried a weapon during their military service will no longer be required to return their guns and permits when they are discharged from reserve service, and will be allowed to ask to keep carrying them. Volunteers in certain police units and in medical organizations Magen David Adom, ZAKA and Hatzalah will also be eligible to receive permits. 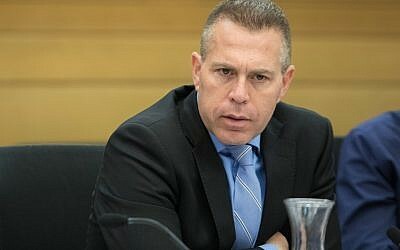 The reform was unveiled by Public Security Minister Gilad Erdan, who has pushed for allowing more Israelis to arm themselves as a response to terror attacks. Under the old rules, Israelis had to prove a need for the firearms, such as living or working in an area considered dangerous, and undergo regular testing and training. Under the loosened directives, individuals who have been in continuous possession of a firearm permit for 10 years will now be allowed to keep the permit indefinitely, without undergoing periodic tests to prove they still match the requirements. The new policy was criticized by the leader of the left-wing opposition party Meretz. However, Erdan’s office said the new regulations “significantly upgrade” the training process undergone by permit applicants and holders. “Qualified citizens carrying firearms in public contribute to the sense of security, are an important line of defense from ‘lone-wolf’ attacks and thus strengthen public security,” Erdan said. Many Palestinians have in recent years adopted the “lone-wolf” tactic of carrying out stabbing, car-ramming or shooting attacks against Israelis without the support or operational backing of any terror group. Thousands of such attacks, attempted attacks or planned attacks have been recorded by Israeli authorities since 2016. 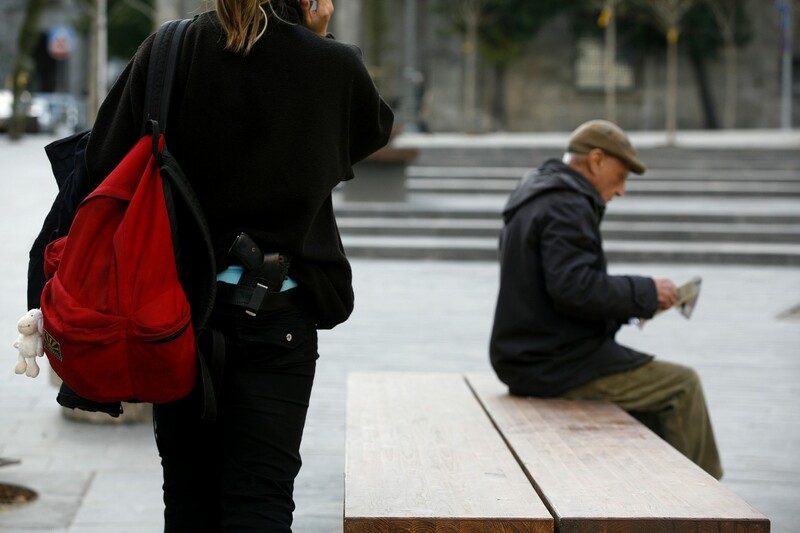 Currently, there are 145,000 carry permits in Israel. That's in addition to those who carry as part of their jobs like police, armed security, and military reserve officers. Another 500,000 are now currently being green-lighted. Two men walked into the pharmacy with ski masks over their faces. Employees estimated that both men were over six feet tall. The armed robbers pointed a rifle at the nearest cashier. The robbers ordered the store staff and customers to lie on the ground. Then they demanded the store employees hand over narcotics. The pharmacist came out of his office and saw the attackers threatening his staff and customers. The pharmacist shot at the armed robbers with his his legally owned handgun. The robbers ran. A pharmacist in Princess Anne, Maryland used his gun to save lives. Maryland’s gun control laws failed again, but self-defense worked just fine to stop this crime. Two men walked into the pharmacy with ski masks over their faces. Employees estimated that both men were over six feet tall. The armed robbers pointed a rifle at the nearest cashier. The robbers ordered the store staff and customers to lie on the ground. Then they demanded the store employees hand over narcotics. The pharmacist came out of his office and saw the attackers threatening his staff and customers. The pharmacist shot at the armed robbers with his his legally owned handgun. The robbers ran. Look at the numerous Maryland laws that failed to protect honest citizens. Robbery is illegal in Maryland. Conspiring with others to commit robbery is illegal. Using a gun to commit robbery is illegal, and has been for hundreds of years. The criminals don’t read those laws, but they had no trouble seeing the store owner’s gun and got the message. The criminals aren’t listening to Maryland’s new gun control regulations, but they heard the gunshot loud and clear. Given that the subsequent police investigation was conducted by the gang-crimes unit, I’ll claim that the criminals didn’t bother with the required firearms background checks that are required to buy a long gun at a gun store. Does it shock you that criminals don’t obey state and federal gun laws? Gang members don’t consult the Maryland registry of “approved firearms for possession or transfer”. Those laws only infringe on the rights of honest gun owners. Those gun laws disarm law abiding people, but did not disarm these criminals. The Maryland assault weapon bans and the Maryland magazine capacity restrictions didn’t stop these gang members from breaking those laws. I’m sure Maryland legislators are agasp that criminals don’t follow their latest regulations. The rest of us told you so. Honest and law abiding citizens can’t carry a loaded firearm in a motor vehicle like these criminals did as they drove to the pharmacy. Hoest citizens can’t carry a loaded gun in public, or carry a concealed firearm without a Maryland Wear and Carry Permit. Unfortunately, most people in Maryland are denied their state-issued wear and carry permits. Which of us were disarmed by those laws, the gang members or the law abiding public? A judge didn’t see fit to claim these three gang members, the two robbers and their get-away driver, were a threat to themselves or others. Despite their history of violence, the Maryland “red-flag” law didn’t work to disarm these criminals. At this point, is anyone surprised? Maryland gun laws don’t disarm criminals, but they do disarm honest citizens. That makes us easier victims. When faced with rising violent crime, Maryland politicians repeat their failed policy prescriptions and propose to disarm more of us. Let’s learn from this example instead. Criminals threatened the lives of innocent people. Because he had a gun, the pharmacist stopped the threat even though he was outnumbered and faced large and powerful adversaries. Guns in the hands of honest citizens saved lives and kept dangerous drugs off Maryland streets. Armed defense saves lives thousands of times a day. Let more honest citizens legally own and carry a firearm. We will all be safer. In one of the strongest judicial statements in favor of the Second Amendment to date, Judge Roger T. Benitez of the U.S. District Court for the Southern District of California determined on Friday that California’s ban on commonly possessed firearm magazines violates the Second Amendment. Judge Benitez is a Bush appointee I believe; just goes to show that elections matter.